Mary Daniel Hobson's photocollages open the mind to a moment in time when things float, and gravity is held at bay. At the same time as we recognize the beauty of that moment, we know at the next instant things can change and will be seen anew. ...and then reveal the full image the way in which life's events may at first be seen narrowly and then open to a wider view. The photocollages were created by layering photographic transparencies, stitched tissue paper, old maps and handwriting. 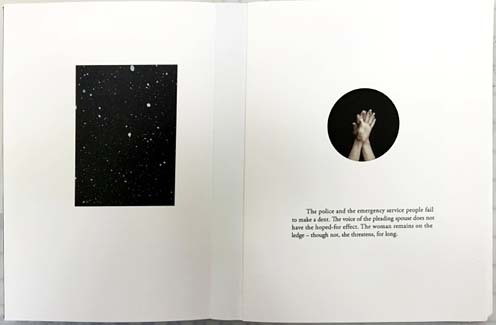 They have been reproduced for the edition as archival pigment prints on Entrada 300 rag paper by Rhiannon Alpers at the San Francisco Art Institute. 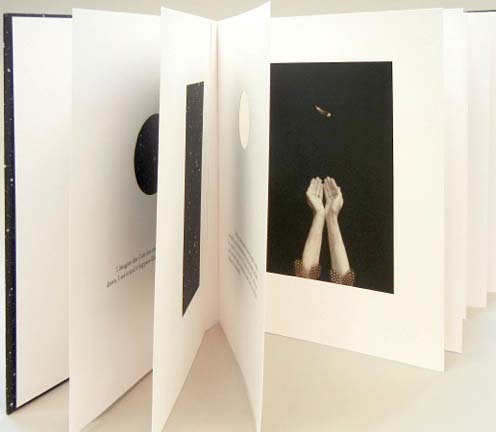 The book contains five photocollages bound into a concertina spine. 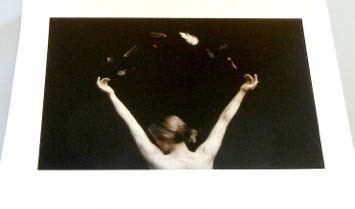 A sixth image image is presented as a separate print signed by the artist in a folder on the inside of the back cover. 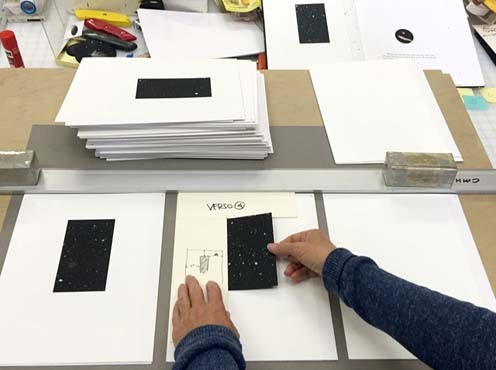 Charles Hobson painted black Canson Mi-Tientes paper with acrylic paint creating pinpricks of light to portray a limitless universe. Paintings of the cosmos offer a backdrop against which to consider a single human event. 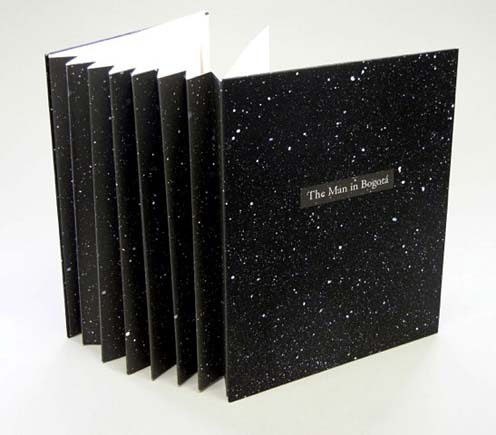 The covers of each book have been wrapped with the hand-painted night sky paper and insets of that paper have been collaged onto each signature. 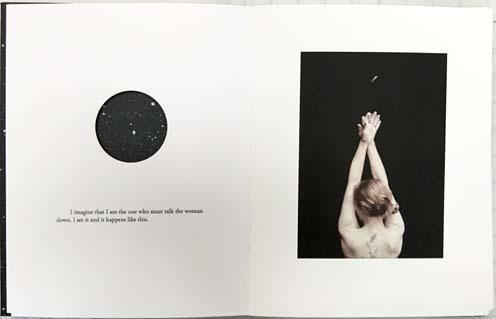 The text of the story was printed letterpress in Adobe Garamond by Rhiannon Alpers in San Francisco. 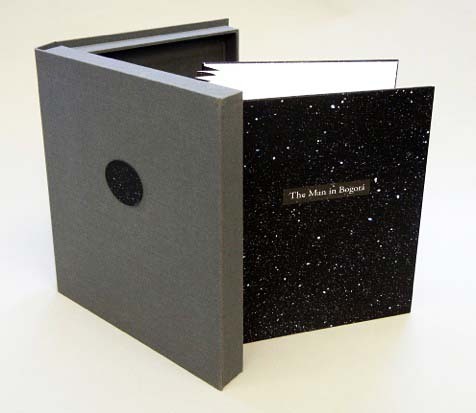 John DeMerritt bound the books into the covers and made the clamshell boxes in Emeryville, California.